Can anyone purchase plants from Garden World? Yes! We are a retail garden center. 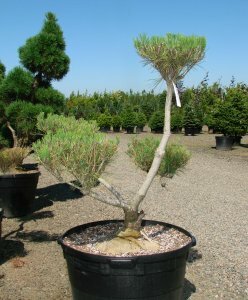 Our 10 acre nursery and online shopping inventory are open to everyone. What can I find at Garden World? Designed around "Support your local grower", Garden World offers an unmatched selection of plant material grown by premier northwest growers. 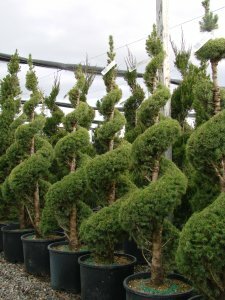 We stock over 15,000 plants in many different varieties, ranging from the unique and unusual to the very common. The exclusive selection is a one-stop shop resource for homeowners, contractors, architects, designers, collectors and small retailers. 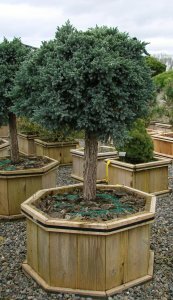 Can Garden World special order plants? We can! Searching for a certain variety, quantity or size of plant is one of Garden World’s advantages. The resource of growers provides us with the opportunity to search the valley for your specific plant needs. Let us know what you're looking for, and we'll be happy to help with your search! Yes, we can help get those plant treasures home or to a job site. 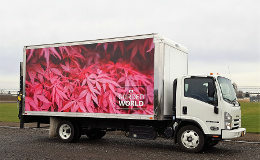 Garden World provides local delivery services to select areas in Oregon and Washington only.Sorry, we do not ship plants. For delivery pricing, please give us a call at 503-982-2380. We&apos;ll be happy to provide you with a price quote and any other information you may need. Let us know the where and when and look for our truck! Will you help us plant? What do #1, #5 mean on your plants? In the nursery industry, plastic containers are labeled #1, #2, #5, etc. The number means approximately ’gallon’. What exactly does ’hardy’ mean and what is our hardiness zone in the Portland area? Hardiness is the lowest temp a plant has been observed to survive at. In an average year, the lowest temperature observed in the Portland Metro area is about 10 degrees Fahrenheit or USDA Hardiness Zone *8*. Microclimates (cold and warm pockets and/or windy areas) can affect cold hardiness. If provided with shelter of a structure, some plants in zones 9-10 can survive in our climate. Mature plants are often better equipped to withstand temperature extremes, than newly planted ones. Plants also need a while to acclimatize in the winter, so cold temperatures early in the dormant season often can have more dramatic effects than later on in the season. What do the various measures of plant growth mean? Fastigiate: This is a narrow up-right, columnar, it probably won’t become half as wide as it is tall. Globose: This is a globe-like shape which can become as tall as it is wide. Pendulous: This is weeping and usually will grow close or along to the ground unless you stake it. Prostrate: This is a ground creeping habit. It usually gets much wider that it is tall. Pyramidal: This is a conical habit. Pretty typical of most conifers. Spreading: This plant has horizontal branching, and the plant will most of the time be twice as wide at maturity as it is tall. Upright Broad: These are ascending branches that tend to spread with age, and usually becomes half as wide as tall. Upright Narrow: This means that the plant has lateral branching that will vary, a narrow profile similar to fastigiate plants. Upright Open: This has lateral branching that is widely spaced. Garden World is where the plant lovers go! We are always accepting applications for individuals interested in joining the green industry. Plant enthusiasts who would like to share their knowledge and passion with the retail public are encouraged to submit a resume or application via fax (503-982-8770) or email.